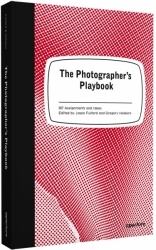 The Photographer’s Playbook features photography assignments, as well as ideas, stories, and anecdotes from many of the world’s most talented photographers and photography professionals. Whether you’re looking for exercises to improve your craft—alone or in a group—or you’re interested in learning more about the medium, this playful collection will inspire fresh ways of engaging with photographic process. Inside you will find advice for better shooting and editing, creative ways to start projects, games and activities, and insight into the practices of those responsible for our most iconic photographs—John Baldessari, Tina Barney, Philip-Lorca diCorcia, Jim Goldberg, Miranda July, Susan Meiselas, Stephen Shore, Alec Soth, Tim Walker, and many more. The book also features a Polaroid alphabet by Mike Slack, which divides each chapter, and a handy subject guide. Edited by acclaimed photographers Jason Fulford and Gregory Halpern, the assignments and project ideas in this book are indispensable for teachers and students, and great fun for everyone fascinated by taking pictures. 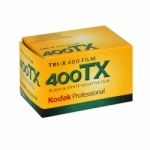 Jason Fulford is a photographer and cofounder of the non-profit publisher J&L Books. He has lectured at more than a dozen art schools and universities and is a contributing editor to Blind Spot magazine. Fulford’s photographs have been featured in Harper’s, the NY Times Magazine, Time, Blind Spot, Aperture, and on book jackets for Don DeLillo, John Updike, Bertrand Russell, Jorge Luis Borges, Terry Eagleton, Ernest Hemingway, and Richard Ford. His published books include Sunbird (2000), Crushed (2003), Raising Frogs for $$$ (2006), The Mushroom Collector (2010), and Hotel Oracle (2013). Fulford is also a 2014 Guggenheim Fellowship recipient.